If Origami Live Wallpaper from earlier this week wasn’t to your liking, then you might like Ditalix Live Wallpaper instead. Much like Origami, it brings a colorful and vibrant look to your homescreen, but also gives you a massive amount of options to choose from to customize it how you see fit. If you like a certain pattern or shape, but don’t care for the color, simply change the background image to one of the pre-loaded options or even upload your own. 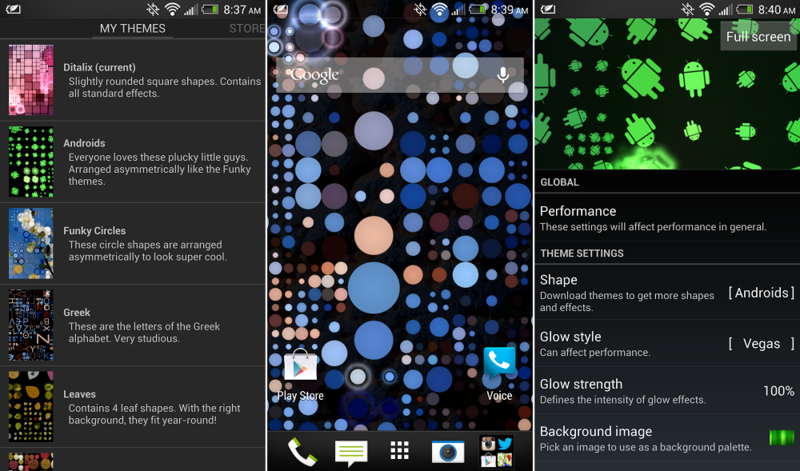 The wallpaper comes with a ton of custom themes and backgrounds to start out with for free (Androids, Greek letters, leaves, etc. ), but if you want even more, there are theme packs you can purchase for $0.99 a pop. There is one pack for $2.99 (currently on sale from $6) that gives you all of the present and future theme packs. Not too shabby.